Walkie Talikes—or two-way radios, if you want to be “technical”—offer a variety of uses when traveling. While many regard these little beauties as relics from the 90s, walkie talkies actually still possess great relevance for today. Do you remember being a kid? You didn’t have a cell phone. Maybe your parents were strict. Maybe it wasn’t in the budget. Maybe mobiles didn’t even exist! But for whatever reason, if your family was using the internet, you had only 3 methods of communicating with your friends. There was: the fake telephone, A.K.A. two cans on a string; running to their front door; and of course your handy dandy walkie talkies. Now obviously many kids today have cell phones, but what happens when your family is hiking in the woods and little Timmy takes a wrong turn? 10 times out of 10 there will be no service. Why? Because your service is spotty? No. Because service ALWAYS disappears whenever you need it most. Remember Murphy’s Law. The invariable solution to this potential issue is the walkie talkie. Not only are these items battery powered, but their functionality is not relegated to clear skies or corporate efficiency. 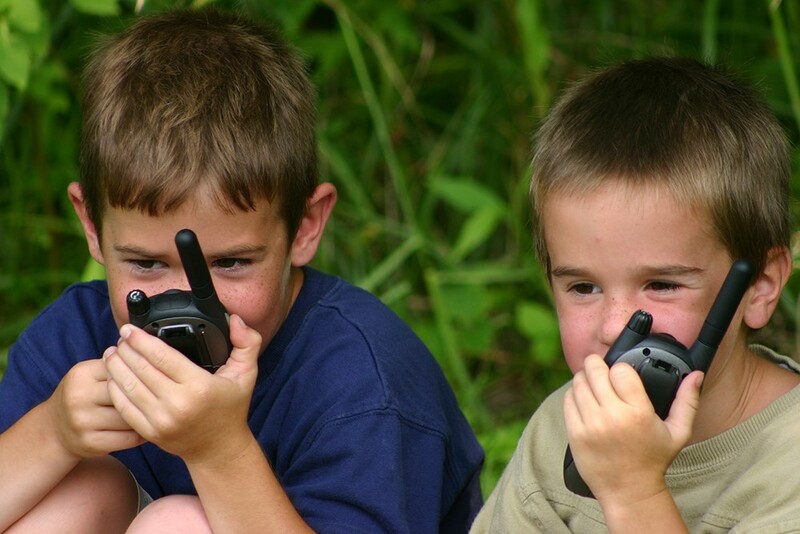 Since walkie talkies are their own little entity, you have much more control over how you stay in contact with your children while you’re traveling—whether they forget their phone, you’re in the woods, or the labyrinth of a resort is just so stinking huge. There are so many ways to travel these days. It can be hard to choose which one is the right one for you. 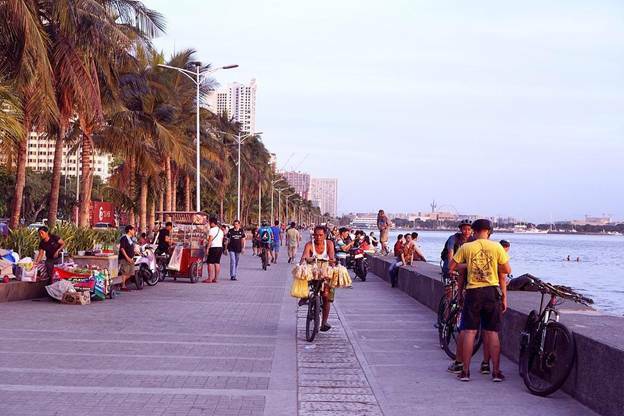 If you want to avoid busy airports and crowded buses, then travel by car or bicycle. If you want to get to your destination on time, then traveling by airplane or train may make more sense. This is probably one of the most common ways to travel. Most of the major highways connect to all the major cities and states in the United States. It’s impossible to travel by car if your destination is halfway around the world. However, you can rent a car once you get there. Car travel can be done by taxi, hired limousine service, or your own vehicle. Rideshare services such as Uber and Lyft have also become a popular form of transportation. Hired service drivers can be affordable to use get to certain locations. Traveling by car is extremely affordable and convenient. You can choose a time to go on vacation when it benefits you. You can even pack as much luggage as you want and you don’t have to pay for public transportation. Renting a vehicle can be an affordable alternative since fuel prices can be costly. Whether you rent or drive your own vehicle, getting an SR22 insurance quote and then purchasing the insurance can ensure that you have the minimum liability coverage as required by your state. Traveling by bicycle has its share of advantages. You can travel at your own pace and avoid crowds. There’s no need to stand in line or deal with public transportation. You also don’t have to worry about the fuel costs for travel. Since you’re traveling by bicycle, it’s important to pack light. Biking can keep you active and fit. You’re not actively sitting for several hours at a time. You’re doing something good for your body. Some countries and states are ideal for this mode of travel. Not everyone has the physical ability or the length of time to travel by bike, though. Deciding where to take your family on vacation can be an intimidating task. If you have young kids, you definitely want to make sure you take them to some wonderful places to continue building unforgettable childhood memories. 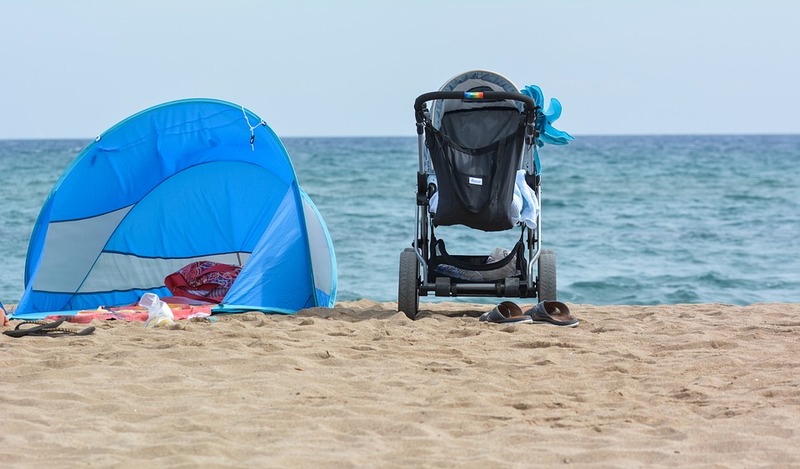 However, sometimes it can be difficult to know which places are the best cities to bring kids on vacation! To help you in your decision-making process, we’ve made a list of our top five cities to take your children for a vacation. This may not seem like the first place you’d think to take your kids, but a trip to New York City can be truly life-changing for children. There is so much to do in this city that it will be difficult for you to see all you want to even with a few days all to yourself! In particular, your kids will surely enjoy the spectacle that is Times Square—take them to the M&M’S store, the Hershey Store, and even bring the whole family to a Broadway musical for a great evening activity! You’ll even be able to insert some educational moments by bringing your kids to the many historic spots in NYC! If you have a kid who is incredibly enthusiastic about Legos, you’ll love taking them to Carlsbad, California. This is the famous city that is host to Legoland California, something that is surely the world’s best Legoland park of its kind. You’ll also have plenty of opportunities to relax at the beach due to Carlsbad’s beautiful scenery. Those staying in Carlsbad can also consider taking a day trip north to Los Angeles or south to San Diego; both major cities are roughly the same distance away. Are you considering visiting China? Well, you should and it’s a great thing to do and an experience to have. Here are some top tips to do so. Outside of China’s borders, impressions of their food are often defined by the balanced, sweet flavors of Cantonese food. While dim sum and most Cantonese dishes are delightful, there are so many regional cuisines to be discovered like the sour funkiness and freshness of food from Yunnan and Guizhou and the fiery spice of Hunan and Sichuan cuisine. And don’t forget the light, refined seafood, and dumplings from Shanghai and Hangzhou, and Xinjiang’s hand-pulled noodles and hearty quasi Turkish kebabs. While you could travel around to try some of these dishes, the great thing is that major Chinese cities host restaurants that offer cuisine from different parts of the country. However, in China, you can still find some handy apps like WeChat, which can be considered to a Chinese WhatsApp but is, in reality, a combination of the app, Paypal, Facebook, a food delivery platform and so much more. Some of its features are hard to navigate even with limited Chinese; however, you will still need the app to make new friends and follow restaurants, museums, magazines and other establishments on the app to stay updated about exclusive deals and events. So, experience China by booking flights and getting your passport and visa ready to go – you can order here. While Chinese languages can be intimidating, attempting to learn some Mandarin, which is the most widely spoken language in China, will be useful. If you are in China for a short stay, consider signing up for a short language course to learn the basics of the language. Digital Nomad Lifestyle: What to have in your Survival Kit? 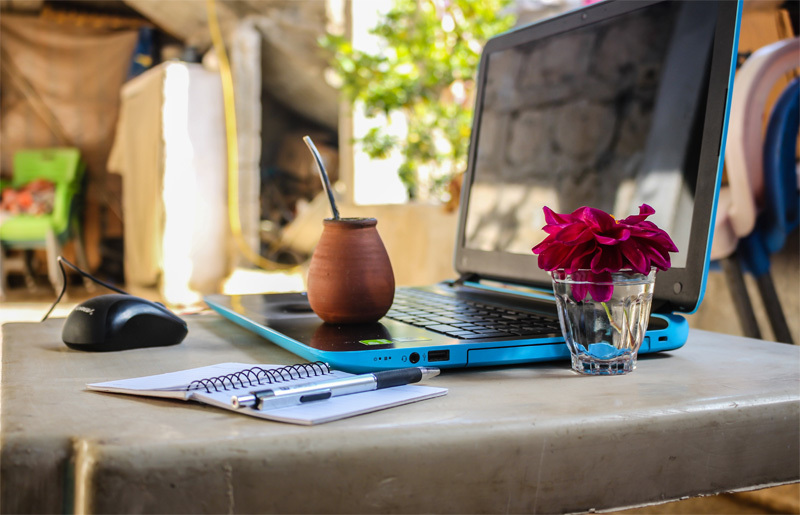 When we hear the term digital nomad, the first thing that comes to mind is freedom, fun, and quick money! We believe it’s an easygoing lifestyle, working from the beaches of Bali today and traveling to Bangkok tomorrow. But to successfully live the digital nomad lifestyle, it takes a great amount of commitment, discipline, and most importantly, a resourceful set of tools to keep work flowing regularly. Being productive with exotic beaches or historical landmarks nearby isn’t easy but technology has made remote work possible and so with some restraint from your side, you would be able to lead this lifestyle the best way possible. What to have in your Survival Kit? This lifestyle isn’t all fun and games, in order to keep it in effect, you need to get work done and be productive so I put together a survival kit with all the essential tools you’ll need to happily live as a digital nomad and get work done. Your laptop/ tablet: This is the number one item you should never travel without. Whichever device you choose, all your work and tasks will get done through it so having a good operating laptop with you is key to this lifestyle. Laptop Accessories: These are the small items but necessities that come with your laptop like your portable mouse, touchpad, USB, or anything else that you might need while working in a café or workspace. Chargers: The worst thing that could happen is having your phone battery or laptop battery die and forgetting your charger at home or losing it altogether. This will not only slow your progress but can possibly ruin your whole day. Keeping your charges nearby is very important, in fact, look into buying a portable charger for your phone so it’ll always be fully charged. Internet Connection: It’s no surprise that having internet is the main core behind all your tools and apps working and since you are, after all, a “digital nomad” all your work is online so no internet can definitely be a problem. China is not the easiest country to travel in. There is a language barrier, the lack of Facebook and Google maps and a big cultural difference. Even the traffic alone can give the average Kiwi nightmares! But it’s an incredible place to visit. 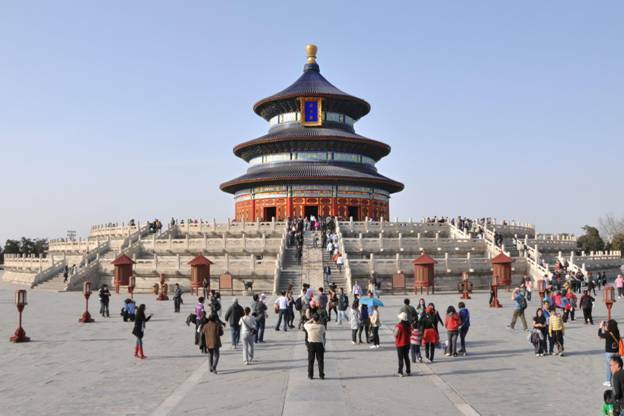 Visit the Great Wall, The Forbidden City and Tiananmen Square, The Summer Palace and explore the Hutongs in the city. Eat classic Peking Duck, pancakes stuffed with crispy skin duck, spring onion and sweet tangy sauce. Or try a breakfast pancake ‘jianbing’, a wheat pancake filled with pickles, crispy fried crackers, herbs, spring onions and topped with hoisin or chilli sauce. Grab cheap noodles or dumplings street-side for a few dollars- eating cheaply is easy here. Fly to Manila and then take a cheap internal flight to Palawan. From there, you can tour the Underground River, swim under Estrella Falls, scuba dive in El Nido or just spend time snorkelling and exploring the spectacular beaches. The food here is amazing and the hospitality and friendliness of the Filipino people second to none. 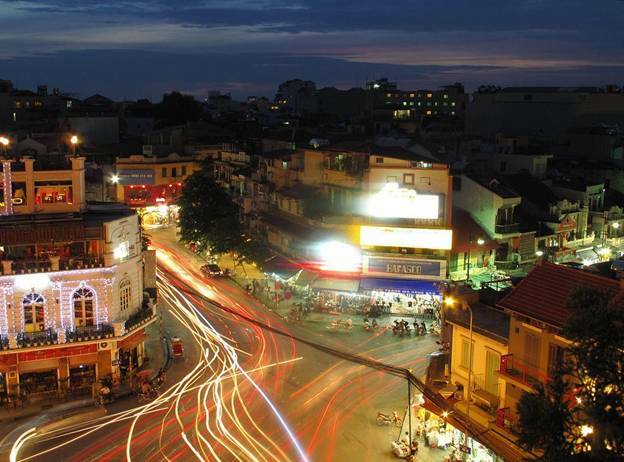 Hanoi is an incredible city that would take easily a week to explore. It’s got history thousands of years old – the old quarter is a warren of wire-draped lanes lined with shops selling everything from sequins to welding. The food in Vietnam is amazing, starting the day with a bowl of steaming Bo Pho, fragrant with herbs. Then fresh spring rolls or hand cut noodles for lunch, and then try a bunch of snacks for dinner. The local street-corner ‘bia hoi’ (pub) offer delicious draught beer for next to nothing, and platefuls of snacks. Point at what others are eating- fresh tofu stuffed with herbs and served with nuoc cham dipping sauce. Crispy sticky pork ribs. Make-your-own spring rolls. It’s all very, very good. The Vietnamese are incredibly friendly and love children- take your family and the kids will be spoiled and treated with much love. Australia is big, beautiful, exciting and the perfect place for a real dose of adventure. With 10,685 beaches and 10 deserts, the land down under is the perfect destination for all sorts of fun and adventurous outdoor activities. The main difficulty is narrowing down your list of things to do, because when it comes to Australia, there’s no shortage of activities in which to partake for both visitors and those coming to start a new life. Its rugged coastlines, laid-back people and striking flora and fauna all serve to make this fascinating country so appealing. In Australia, you can skydive, swim with sharks and scuba dive some of the most stunning reefs in the world. The weather is also very encouraging for outdoor activities, with plenty to do for adults and children alike. Looking for a perfect adventure? What better way to get your adrenaline pumping than to skydive above the beautiful sea around Mission Beach? This is arguably one of the most daring and memorable things you can do in Australia. Picture being strapped to the back of a professional skydive instructor and taking photos from the GoPro in midair. The excitement is indescribable, even after the second and third times. Are you considering making an Ausmove? If so, this should be near the top of your budget list of things to do within the first three months of your arrival. Camping is the ideal family outdoor activity; as this obviously isn’t as strenuous as skydiving, it can be enjoyed by people of all ages and still offers a significant sense of adventure. Furthermore, camping in Australia offers a unique dimension when compared to elsewhere. For instance, camping on Cockatoo Island around Sydney Harbour allows you to hike and check out the remains of the convict’s cells from way back when. While some people might describe watching sunset over dinner as an adventurous activity, Katherine Gorge allows you to do much more in a single outdoor trip. Kayaking or taking a canoe trip is a sure way to experience the true beauty of the Gorge. You can hire kayaks and canoes for a couple of hours or even a full day whilst exploring the entire gorge. In fact, you can rent for up to two days if you wish; this will allow you to watch both sunset and sunrise, whilst enjoying the tranquility from your kayak.